"Nikon's entry into the mirrorless interchangeable lens market late last year was widely anticipated, but the products that were finally announced took a lot of people by surprise. Nikon has created an entirely new system based around a relatively small sensor, that's about 30% of the size of those used in the company's DX-format SLRs. 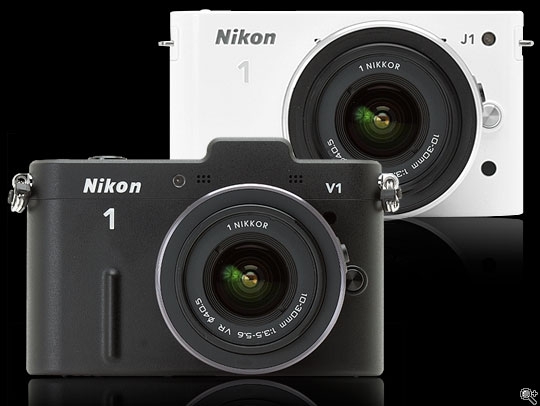 The system is spearheaded by two cameras - the Nikon 1 J1 and 1 V1." DPReview's verdict is not the highest praise, and I still think they are a bit lenient there. When I tried both cameras, I found their UI to be absymal. Fixed function button that controls a useless feature? Check. Lots of menu scrolling? Check. Using a rocker instead of the more intuitive command dial to control manual functions? Check. It is not better for casual users either. Lack of contextual information for newcomers and casual shooters? Check. No clear indication what is the full auto mode? Check. Overall, for enthusiasts, it is a pain to use, and for casual shooters, there are other cameras which are easier to use. Then there is the price, which is more expensive than many of the Micro Four Thirds cameras. I will be waiting for version 2.0 of the product. Sorry Nikon, you need to do better than this.